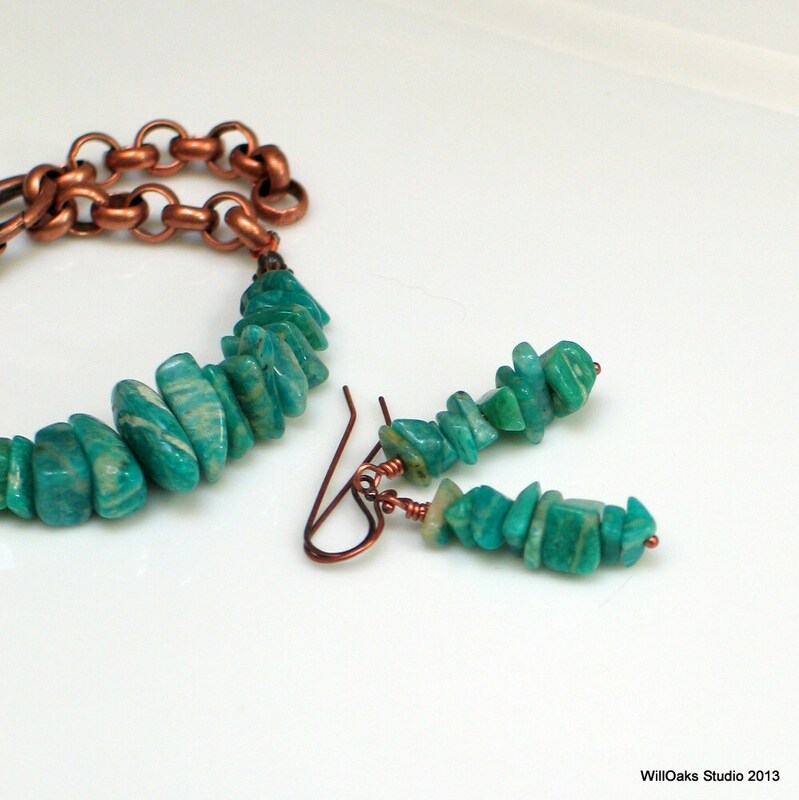 Brilliant natural teal Russian Amazonite stones stacked like a rock cairn that marks the mountain pass and designed to wear on their own or with the copper and amazonite cuff listed in my studio. 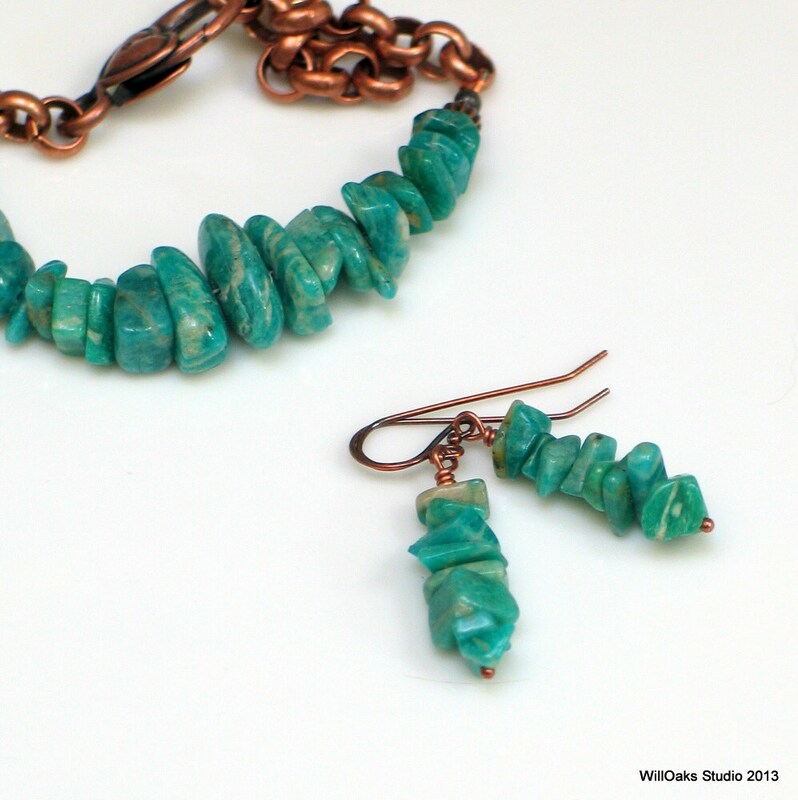 Also coordinates beautifully with the amazonite large nugget necklace. I can't get enough of the amazing natural color of these stones: clear and bright with delicate ivory markings scattered inside. 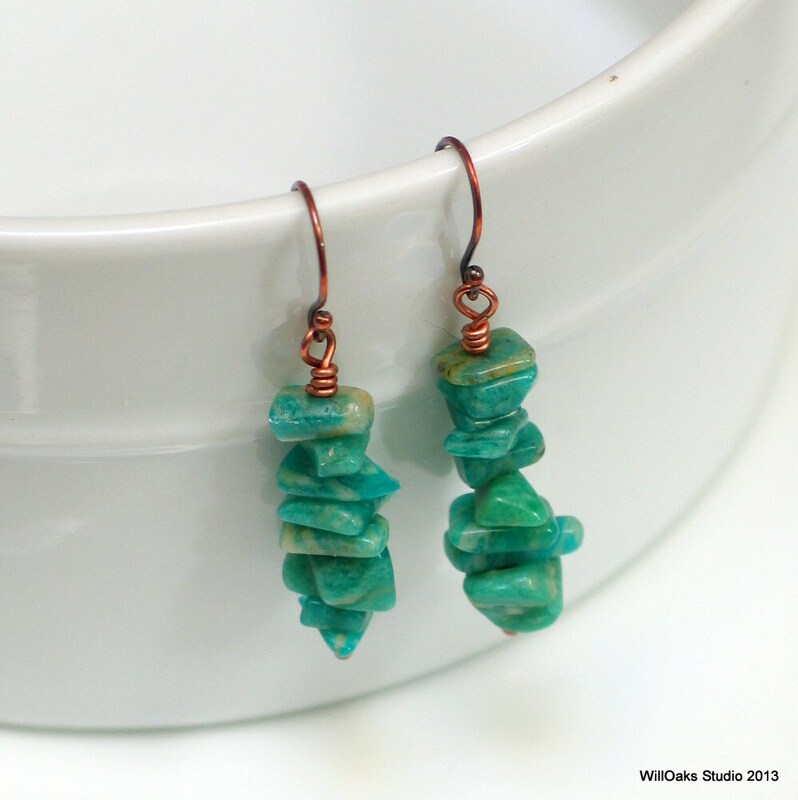 Organic stone shapes are stacked on copper head pins that I've oxidized for an antique look and these dangle from hand formed copper ear wires that I created to perfectly coordinate with the stones. 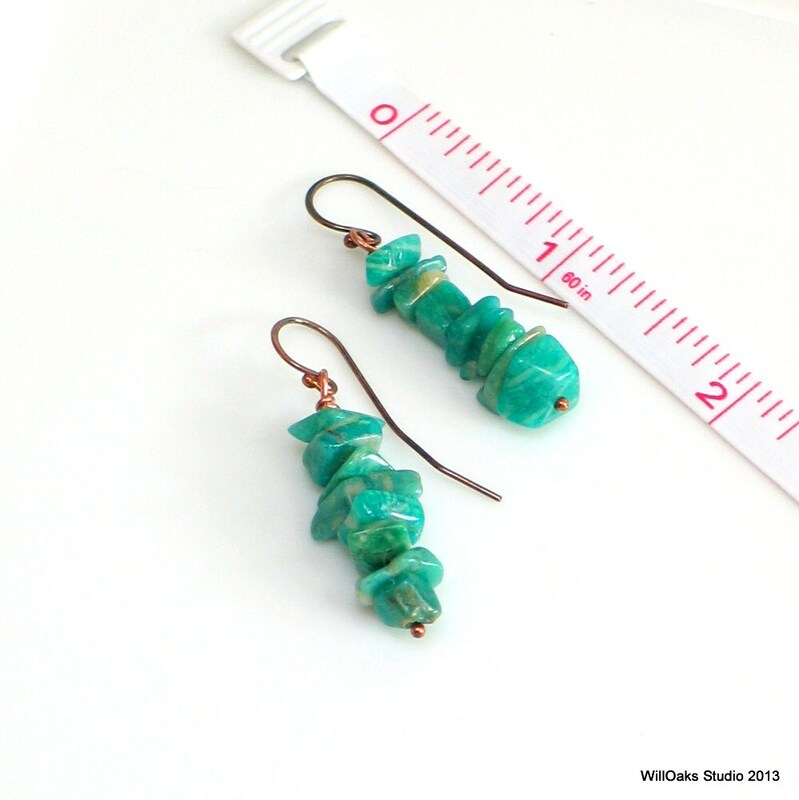 They measure a total of 1 1/2" measured from the top of the ear wire. They are shipped in my signature decorative boxes and come with clear silicone ear wire guards. 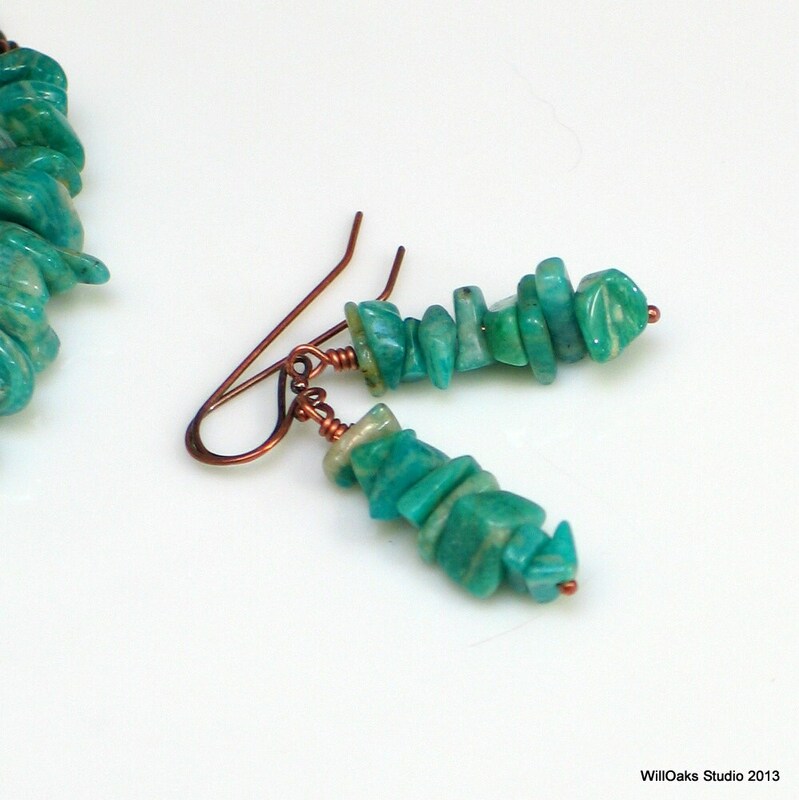 Made to order and due to the natural materials, each pair will be uniquely beautiful!